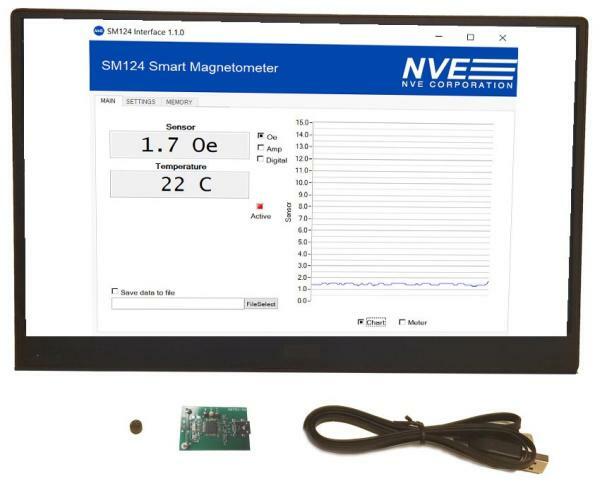 NVE Corporation announced the new SM124-10E Smart Magnetometer. The new sensor combines a Giant Magnetoresistance (GMR) sensor element with elegant digital signal processing. The versatile product can be used for current or proximity measurements. Unlike awkward, old-fashioned Hall-effect sensors, GMR is sensitive in-plane for optimal current sensing and easy mechanical interfaces. All data and parameters are input and output as single bytes (eight bits). This provides better than 1% precision while eliminating the need to concatenate upper and lower bytes. Data are always valid, so there is no need to wait for data during an I2C read, and there are no set-up commands or error handling required. 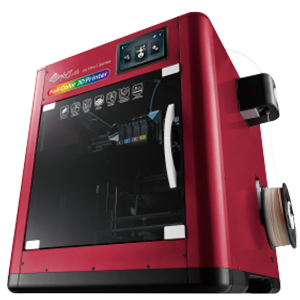 The sensor is factory calibrated for sensitivity, offset, linearity, and temperature compensation. Users can also calibrate the output for a particular system. AG952-07E Smart Magnetometer Evaluation Kit. The simple AG952-07 Evaluation Kit has everything needed to calibrate, test, and evaluate SM124-10E Smart Magnetometers.